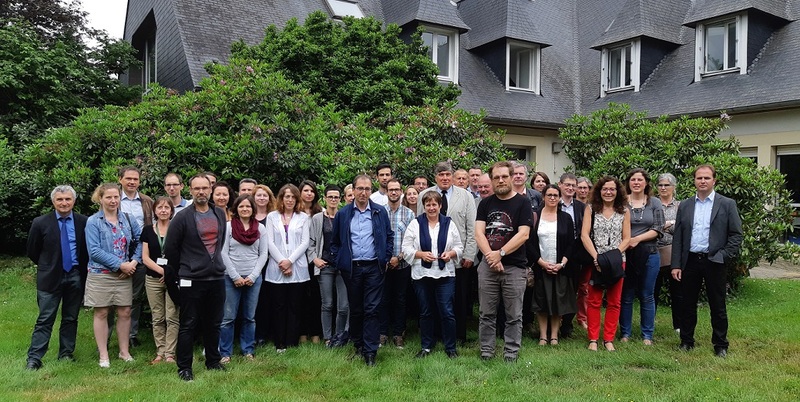 Forty people were present to launch the InnoPlant² project on the Inra research centre in Le Rheu and connected in visio conference with Ploudaniel 230 km away. The first part was dedicated to the stakeholders’ expectations and to the main lines of the new project targeted to innovations for the seed potato sector. New needs and innovations in cropping systems : varietal ideotypes and organic seed potato production (N. Moutier, Inra et M. Conseil, ITAB), sanitazing plants for nematodes management (S. Fournet, Inra). Digital tools and innovating monitoring tools : imaging for the evaluation of potato health (M. Leclerc, Inra), big data in seed potato (C. Dargier, FN3PT), decision support system for Blackleg (V. Hélias, FN3PT). The project is ambitious and will be presented through the progressive update of the website. Outcomes will be delivered through the website, forthcoming account(s) on social network(s) and events that will be organised by the community.